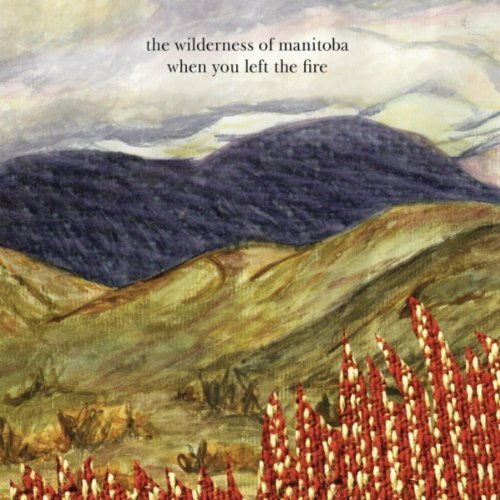 Daily Listen: The Wilderness of Manitoba - "Summer Fires"
See that on the right there? That's one of the best albums released so far this year. Hailing from Toronto and picking up where the Fleet Foxes leave off, this septet mixes gorgeous harmonies with a folksy take on Americana that is as powerful as it is delicate. This record feels just as home on a cold winters night as it does a breezy Spring afternoon, and that's a songwriting feat that everyone in the band should be proud of. Choosing to wow you with their cohesiveness as a group rather than the strenghts of an individual or two, The Wilderness of Manitoba put all of their faith in their songs, and the payoff is huge. We were lucky to catch The Wilderness of Manitoba opening for Cloud Cult this weekend at The Black Cat, and all I can say is that they are not to be missed. Come back to DC soon guys, we can't wait to see you again. Check out the track "Summer Fires" from their 3 week old album, when you left the fire. Then go out and buy the album. Both you and the band deserve it. The Wilderness of Manitoba - "Summer Fires"
Older PostWin Stuff!! Win tickets to see Sondre Lerche @ the 9:30 Club on Tuesday, June 7th!